Dubai only allows bars and nightclubs within a hotel or resort and visitors will find that, in Deira almost every hotel has its set of bars and lounges. The category of the hotel usually defines what types of club and bars are open for business inside. For example, Lotus Boutique Hotel in Dubai is part of a fast growing chain that services the mid-range business traveler and tourist. That is why the Distil Nightclub, which is located inside the Lotus Boutique, also is geared towards this demographic. Te club has all the essential of a nighttime hot spot including a well stocked bar, dance floor, music and reasonable pricing. Like the hotel, guests at Distil should expect most amenities that are available at other venues but with out the frills. This is evident from the design of the club which is very functional but not luxurious. However, guests will probably not mind because the economic pricing and lively entertainment make up for it in a big way. - A nightclub's greatest asset is its music and the crowds. Distil can hold a decent number of people and has a dance floor separate from the seating area. The sound system is exceptional and the speakers put in various locations around the venue make the songs being played come alive. 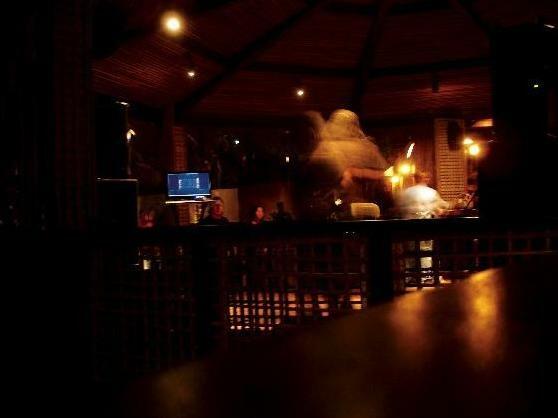 The live musical entertainment is the highlight of every performance and guests should enjoy the varied music being served up at Distil. - The bar has almost evry type of drink and brand that is available in most locations in Dubai. The service is quick and efficient and guests can expect the bartender to know most types of cocktails and mixed drinks. - The friendly staff can also offer food to guests inside the club. You will need to ask for the menu to get a better idea of what is available from the kitchen. The Palm Deira Metro stop is the nearest metro stop to the Distil nightclub but it's still 1.6 km away and you need about 20 minutes' walk to reach there. Head northeast on Al Khaleej Road and turn right onto 27th Street. Make a left turn onto 18th Street and then turn right onto 47th Street. Make a final left onto 10 B Street and find the venue on the right. View Map. Travelers can get off at the Burj Nahar, Intersection 2 bus stop by using bus routes 4, 10, 11A, 13 ,13A, 13B, 13D, 64, C1, C3, C5 and C18. From there why will need to head northwest and make a right turn onto 20th Street. The commuter will need to keep going onto 10 B Street and find the venue on the right. View Map.